System w/ MR Technology. Converts to Short Ram. SP Intake Systems These Intake Systems Feature the Patent Pending MR Technology Process for Optimal Gains and a Safe A/F Ratio. The SP series does not limit itself to just a Cold Air System or Short Ram System. The MR Technology process has its effects on both types. SP is The World's First Tuned Intake System. 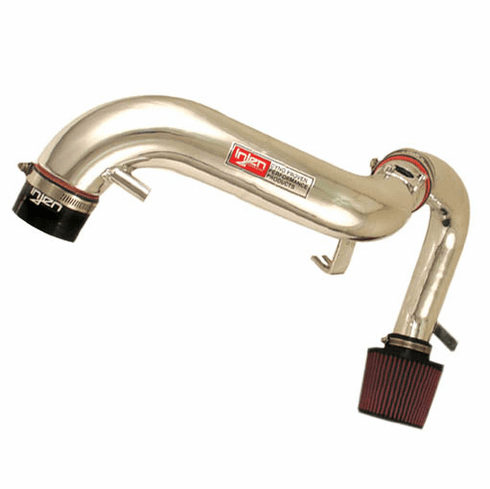 The Injen Technology cold air intake system is a high-performance, dyno-proven system made of CNC mandrel bent 6061 T-6 aluminum alloy. Each Injen cold air intake is carefully engineered for a perfect fit and superior performance. Many other Injen Cold Air Intakes are made of only 3.00" diameter tubes. This may cause friction between the battery and the intake system, dented hoods and an unbalanced air fuel ratio which can be harmful to your engine. Injen Technology has taken extra measures to ensure that you get what you paid for: extra power, optimum throttle response and quality. Injen has in-house capabilities for bending 2.25",2.50", 2.75" and 3.00" diameter tubes on various bends. Polished intakes for those who are conscious of looks along with horsepower gain. With the use of 1/4" thick 6061 T-6 aluminum and precise CNC machined brackets and adapters, you are guaranteed an exact fit every time. Not only does Injen dedicate themselves to making precise crafted cold air intakes, they also back it with a limited lifetime warranty to ensure a quality intake for years to come.